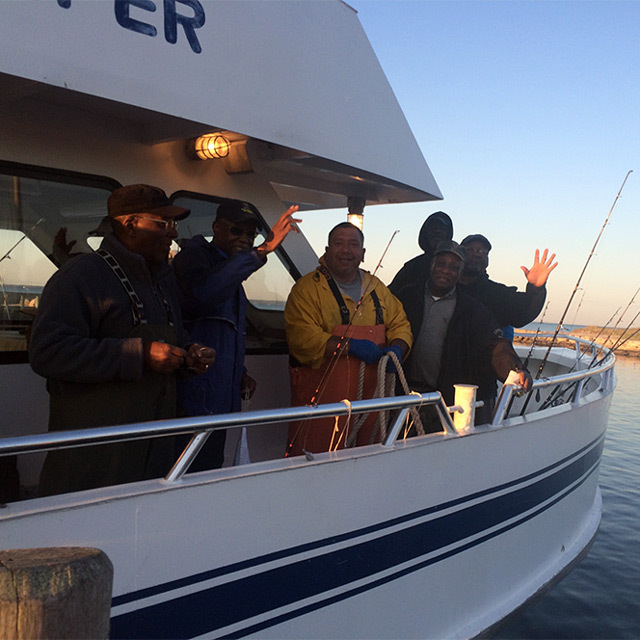 Have a great time catching Scup (Porgy), Tautog, and Sea Bass as well as other species. Our experienced captains will show you the best Striped Bass and Blue fishing in our well equipped sport fishing vessel, the Minuteman. Available year-round, 24-hours a day. Free shopping shuttle to and from the Falmouth Mall and Falmouth Plaza. Shop Kappy's, Christmas Tree Shop, Staples, Home Goods, TJ Maxx, Walmart and other stores.